I rendezvoused with Jeff, Kaela, Mario, and Maria at the cliffs on the opposite side of San Antonio hot springs for a car camping evening. I got there first and rounded up a bunch of firewood for the evening which we definitely needed - because the music came on and it was a good old fashioned NM camp fire dance party. In the morning, Jeff, Kaela, and I rode a burly 20 mile mountain biking loop up in Los Alamos by Pajarito Mountain. It started off with about 2,500 ft of climbing and then turned into gnarly loose sand and dirt singletrack. The riding was fun on the Tallboy and I was impressed with the fitness of my companions, but after a while I had enough crashing and opted to change the ride. We tried to short cut it back to the cars, but I lead us in a circuitous path through the ravines of Los Alamos and over some great bridges too. 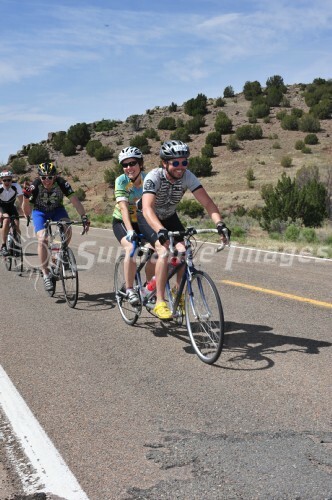 Spirits were high and the trip was great, except that Jeff managed to bend his derailleur hanger in the final stretches. At the car, I split off and headed out to the Operational Core Curriculum (OCC) final at Diablo Canyon. Arriving about 24 hours late for the events, I caught a little flack, but jumped in to run the lower side of the highline. We definitely were putting the new terradaptor and 1200 ft rope to good use. The BBQ and party at the end was good as always - Feels like my 2nd family in many ways. 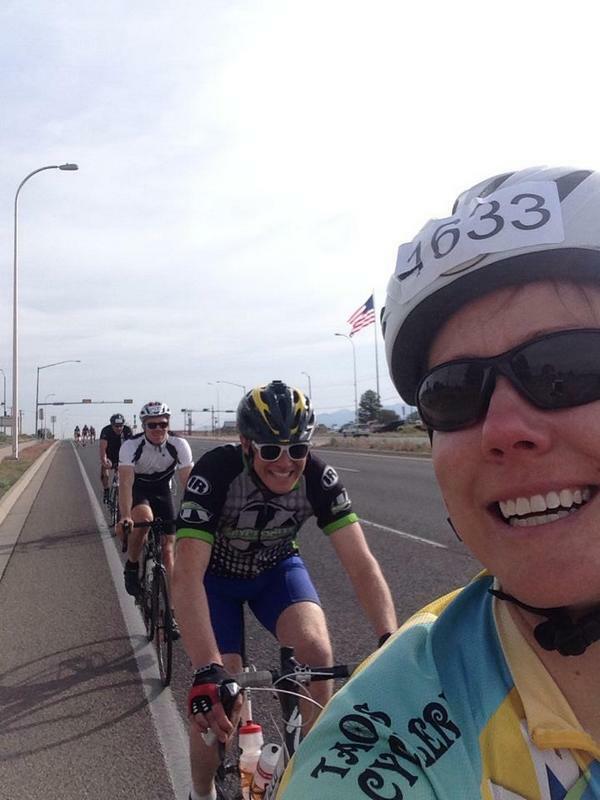 Rubbing the party out of my eyes, I linked up with Mike, Allison, Briana, Josiah, Sam, and Tony to ride the Santa Fe Century. I jumped on the back of the Briana/Josiah tandem and cruised for the first few miles. It was great until we hit the rollers and then the slinkying action began. Mike was too quick on the hills for me, but the group stayed together fairly well, and we all grabbed a Marg a Maria's.